Embrace the superhero in you! Race in your favorite superhero garb, cape, or anything that makes you feel as powerful as you are! All ages welcome! 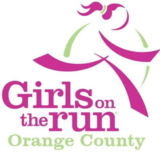 At each Girls on the Run season's conclusion, the girls and their running buddies complete a 5k running event. In some cities this is a large, community wide event and in others, it's an inspiring gathering of friends and family. Completing a 5k gives the girls a tangible sense of achievement as well as a framework for setting and achieving life goals. The results are the same—making the seemingly impossible, possible. Simple, engaging and extraordinary. The result? Healthy, confident girls who can. Join us!